During a 2006 Monash postgraduate class on intelligence analysis our adviser made several observations on how the Australian Security Intelligence Agency (ASIO) is misrepresented and misunderstood. The ‘S’ stood for domestic security not secrecy. ASIO had an accountability and audit regime at multiple levels: legislative limits, the Treasury budget process, appeals processes, external audits and supply contract review, and reporting to the public and to bipartisan government committees. Australia’s intelligence resources were mo stly deployed in military agencies for signals intelligence. Finally, media coverage of ASIO rarely evolves to the sophistication seen in the United States and the United Kingdom. Heidegger, Martin (1996/1927) Being and Time: A Translation of Sein und Zeit.Trans. Joan Stambaugh. Albany, NY: State University of New York Press. Staumbaugh’s 1996 translation is clearer to read than Macquarrie and Robinson’s 1962 original, although it is helpful to have both for comparison. Sein und Zeit influenced existentialist, phenomenological, deconstruction and hermeneutic philosophy, and spans a bridge to pivotal later work by Hans-Georg Gadamer (Truth and Method), Alain Badiou (Being and Event; Logic of Worlds), and Paul Ricoeur (Time and Narrative). This opens up some potential ‘correspondences’ to compare Heidegger and Gurdjieff’s philosophies worth further exploration. Sein und Zeit may be Heidegger’s ‘legominism’; Heidegger’s hermeneutic method an attempt to recover the ‘I’; Dasein an awareness of Time as Gurdjieff’s ‘Merciless Heropass’; and Heidegger’s ‘hermeneutics of suspicion’ broadly similar to Gurdjieff’s ‘Way of Golgotha’ (during the First World War and the 1917 Russian Revolution), in that both are death-aware orientations to personal conscience. Heidegger’s perspectives in Sein und Zeit about angst, falling into inauthenticity, and tradition’s role in cultural transmission are similar to Gurdjieff’s arguments. Finally, Sein und Zeit is about Aletheia in the sense of ‘unconcealment’ of being-in-life. Faye, Emmanuel (2009) Heidegger:The Introduction of Nazism into Philosophy in Light of the Unpublished Seminars of 1933-1935. Trans. Michael B. Smith. New Haven, CT: Yale University Press. Faye’s book ignited controversy during its 2005 publication in France. Smith’s translation has done so again, in The Chronicle of Higher Education. Faye makes three main arguments. (1) Heidegger embraced Nazi metaphysics in the late 1920s before he became Rector of Freiburg University, and this influence is clear in his 1933-35 seminars. (2) Heidegger’s Nazism has influenced hermeneutics, postmodernists, and radical ecologists, who may be susceptible to proto-N. ideas. (3) Heidegger’s political beliefs mean that he should be banished as a philosopher from university courses, and censored in libraries. For many reviewers, Faye’s contribution has been to highlight the archival sources in (1), although others claim Faye has misrepresented Heidegger’s ideas to advance his arguments. (2) and (3) have ignited the debate: Who has Heidegger influenced over time, and to what effect? Under what conditions can knowledge creation be separated from its sociopolitical contexts, particularly when these contexts may change? What should be the fate of philosophers who may be brilliant in one sphere, but taint their reputation in other areas? Is it possible to be influenced subtly by ‘evil’ ideas, and how would we be ethically self-aware enough to know? Faye’s book is best read as an ‘active exercise’ with these issues in mind, issues that highlight Lethe as the opposite of Aletheia: how knowledge may be de-manifested, fragmented or (willfully) forgotten over time. A comparison of Heiddeger’s period as Rector of Freiburg University with Gurdjieff’s Paris groups raises some intriguing questions about Aletheia and ethical self-awareness in the midst of revolution, war and societal conflict. On the Paris groups, see the Gurdjieff group transcripts in William Patrick Patterson’s Voices in the Dark: Esoteric, Occult, & Secular Voices in Nazi-Occupied Paris (Fairfax CA: Arete Communications, 2000). De Salzmann, Jeanne. (2010) The Reality of Being: The Fourth Way of Gurdjieff. Boston: Shambhala Press. De Salzmann (1889-1990) was the closest pupil of Gurdjieff’s during his Institute for the Harmonious Development of Man in Fontainebleu, and during the later Paris period in World War II. She was pivotal to the Gurdjieff Foundation, to the transmission of the Movements, and to Peter Brook’s film adaptation of Meetings With Remarkable Men (1979). Her publicly available writings have a directness of presence that differs from most other sources, the exceptions being Uspenskii’s In Search of the Miraculous (New York: Harcourt, 1949) and John Pentland’s Exchanges Within (New York: Continuum Publishing Company, 1997). This book compiled from De Salmann’s 40 years of private notes promises to be a watershed moment in the Gurdjieff Work. Tamdgidi, Mohammad H. (2009) Gurdjieff and Hypnosis: A Hermeneutic Study. New York: Palgrave Macmillan. 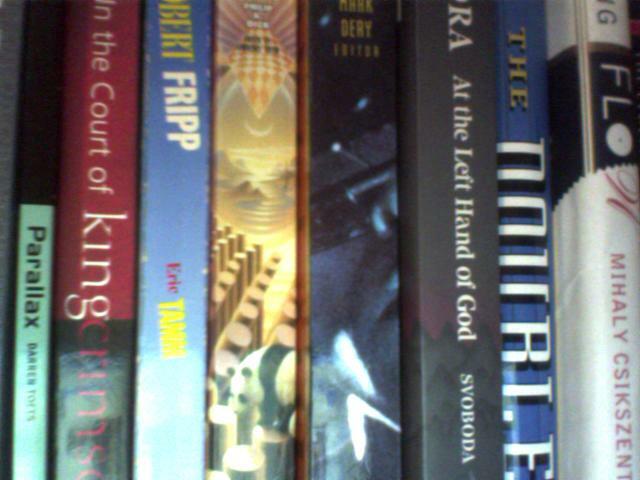 Robert Fripp’s DGM diary for 3rd February 2010 alerted me to Tamdgidi’s study, which has an introductory essay by noted Gurdjieff Work scholar J. Walter Driscoll. Tamdgidi contends that Gurdjieff’s expertise as a hypnotist is essential to understand his relationship with students, and the deep structure of his books, especially the ‘legominism’ Beelzebub’s Tales to His Grandson (New York: Harcourt, 1950). In doing so, Tamdgidi demonstrates the methodological value of hermeneutics to interpret Gurdjieff’s texts and to reconstruct the hints and ‘fragments’ into a coherent whole. This book reveals some of the ‘mesoteric’ ideas on the transcultural sources of Gurdjieff’s cosmology, the appropriate use of friction in the teacher-student relationship, and the hypnotic structure of many occult ideas. Tamdgidi’s analysis however has some broader implications about the performative nature of Uttering a Word, and why the Task and Curse of a Magus involves a paradigmatic shift or conceptual distance. Anyone have a copy of The Sarandib Revelations? Or an Austin flyer for Zandor Sinestro’s Circus of Terror? Or know the Secret of the Brotherhood of Travelers? In this email exchange Dr. Aquino did acknowledge research into ape and dolphin communication, which perhaps has significance for Lilith Aquino’s Utterance of Arkte. I pose this as a philosophical, existential dilemma, and not as a position of species infallibility. Within the Temple of Set, Dr. Aquino and others referred to this self-aware consciousness as the Gift of Set. Category 17 of the TS Reading List explored this in more detail, in the following categories. Don Webb’s Edred.net essay ‘Concerning Words’ (publicly released 16th February 2010) synthesizes two decades of reflection on several initiatory, metaphysical and cosmological philosophies, drawing on Plato, Chaldean theurgy, Crowleyan Thelema and Setian metaphysics. His focus is on the core Words that encapsulate these philosophies, the equivalent in these traditions of Thomas Kuhn’s ‘paradigms’ used in philosophy of science to describe conceptual revolutions. Such Words have two key aspects for Webb: (i) ‘they are a label for a group or constellation of ideas’ that can be grasped by individuals, groups and movements, and (ii) they are performative or a speech act–Webb uses the term ‘magical act’ for a Setian and Gild audience. Thus, apart from the religious and metaphysical systems he discusses, Webb observes that Words can also describe a way to think about religious and sociopolitical philosophies such as ‘Agape’, ‘Communism’, ‘Democracy’, ‘Racism’ or ‘Capitalism’–and perhaps by extension to comprehend the past decade’s debates about ‘Caliphate’ or ‘Jihad’. There are seeds here of what could be a rigorous evaluation framework. The essay has specific meanings for Webb’s main audience. For instance, he uses the honorific ‘Prince of Darkness’ both to describe the Egyptian god Set as an independent metaphysical entity, and as a symbol of the human ability to conceptualize new horizons and then to bring them into being–with both positive and negative aspects. However, Webb makes observations that may have relevance to a broader audience and to scholars from different perspectives: ‘Words are not the property of the human who Utters them’ or ‘The Utterance of a Law does not bring any new thing into being, but brings an anticipatory Awareness of that thing.’ In doing so, he challenges the assumptions held by many adherents who would ascribe a Word solely to a specific guru or individual. At the essay close, Webb poses nine ‘Questions to Consider’ as a teaching tool. Below is a personal analysis, which attempts to clarify the definitions and categories for non-Setian readers. To do so, I have slightly reworded Webb’s nine ‘Questions to Consider’, in some cases to broaden their scope, so compare with Webb’s original formulation. Does the Word exist–conceptually and ontologically–as an independent Idea that is differentiated from precursors and other metaphysical philosophies? (DW’s Q8). This raises various other questions: What ontological and cosmological assumptions does the Word suggest? What ‘boundary conditions’ arise? What are the criterion to differentiate a Word from its precursors? What happens when a competing metaphysical philosophy ‘interprets’ or ‘takes’ a Word? would isolate ‘successful’ cases–I feel ‘double loop’ learning from cases of ‘failure’ or ‘mutation’ can be just as valuable. Abductive, inductive and deductive logics may all be used. Can you communicate a Word’s metaphysical core in plain, everyday language? (DW’s Q6). This raises various other questions: Who are the intended and unintended audiences of the communication? How does a different medium affect the reception of a Word’s message? If there was no School as a (sustainable) organizational form, how would a Word be communicated? What happens when a Word fails to be communicated, and dies? 2a. Knowledge Base – Organisational Alignment test. Does the Word resonate with and expand the Knowledge Base? (DQ’s Q4). Is it aligned with the host organization? Two reasons apart from personality conflicts are suggested here for the history of schisms in (so-called) initiatory organizations: (i) a change to the Knowledge Base core that differs from a periphery; and (ii) a Word that challenges the form, boundaries and the custodianship/governance functions of the host organization. This may be a failure of communicability (1c), a failure of apprehension or diffusion (1b), or the perceived Need for a new organizational form that triggers an institutional power conflict. (1a). 2b. Knowledge Base – Temporal Matrices test. Can you Understand, broadly and deeply, how the Word relates to and compares with other metaphysical philosophies? (DW’s Q7). This Understanding may be both diachronic (evolving through time) and synchronic (the present). Aleister Crowley’s ‘Curse of the Magus’, like Kuhn’s ‘gestalt-switch’ between different paradigms, is in part because definition (1a) can dramatically change temporal awareness (2b), which leads to communicability and diffusion problems (1c and 1b). Herein lies the metaphysical justification usually posited for a School’s existence as a non-Hobbesian initiatory environment. 3a. Core Self and Personal Philosophy tests. Does the Word bring metaphysical clarity and significance to your life? (DW’s Q5). Is it immediately graspable, but refine-able over a lifetime? (DW’s Q3). This is the apprehension and reception of the Word into the core self (1a, 1b, and 2b). In part, this is the goal, practice and life-orientation of ethics, axiology and metaphysical philosophy. For individuals, it may be a sign that apprehension (1a), induction (1b), and temporal reorientation (2b) have occurred. This is one function of ‘conversion’ in religious belief systems, and more subtly, one potential role the Daimon might play in Platonic, Jungian and Thelemic metaphysics. In psychology, it may be found in the work of Roberto Assagioli, Mihaly Csikzentmihalyi, Viktor Frankl, and James Hillman, amongst others. For Teachers it may suggest successful transmission (1c), and organizational alignment (2a). This is the generative source of forms/kata in martial arts, personal conceptualizations of methodologies, and of Teacher-Student transmission in Zen and other traditions. neuro-linguistic programming–provided you do the exercises. This is the observable manifestation of self-initiatory work over a career (1b and 1c). It is also perhaps the best defense against Stephen Edred Flowers’ ‘occultizoid nincompoop’. Does the Word resonate deeply with your life, emotions, embodied cognition and actions? (DW Q9).This is the extension of the Word as a life-anchor, through time, despite Hazard and the Law of Accident. At an individual level, it is strengthened through clarity, focus, and aligned action (3a and 3b). It empowers the individual to communicate (1c), and via their deeds, for the School to survive as a viable organizational form (2a), through time (2b). In part, this is George Gurdjieff’s ‘three lines of work’: for individual, for group, and for School or tradition. This post briefly discusses some lessons that LHP and Rune-Gild practitioners can learn from the Graeco-Armenian magus George Gurdjieff and the orthodox Gurdjieff Foundation, based in New York. This personal interpretation remanifests a series of email dialogues with Vesa Itti, and with Petri Laakso in late 1997-early 1998 around the time of his IV* Recognition in the Temple of Set. In a follow-up entry I will discuss some of the limitations and criticisms. I don’t speak for the Foundation, the Temple, or the Gild, just myself. 1. A Transcultural Mission from Syncretic Cultural and Religious Sources. Gurdjieff’s advice to ‘Take the ‘wisdom’ of the East and the ‘energy’ of the West and then seek’ foreshadows Eranos, Esalen, the Integral Institute, and the current interest in integrative, holistic frameworks. Part of the recent growth in academic Gurdjieff Studies such as Jacob Needleman and J. Walter Driscoll is a renewed attention to reconstructing and synthesizing the diverse sources that Gurdjieff tapped in the Caucasus, the Hindu Kush, Tibet, Egypt, India, and elsewhere, in pursuit of the Akhaldan Society and the Sarmoung Brotherhood. Graham Hancock fans, take note. 2. Embodied Forms of Initiatory Practice. The reading sessions for the legominism Beelzebub’s Tales to His Grandson (1950), the ‘Teacher of Dances’ guise and Movement performances, the ‘Toast of Idiots’ dinners, the ‘Stop!’ exercises, and the Gurdjieff-de Hartmann piano collaborations all point to a practice-based cultivation of ’embodied’ awareness. This experience is central to an effective group and is not always emphasised in the various books on Gurdjieff and his followers. 3. Stark Methodologies. What is also clear is the starkness of the methodologies and practices in the Gurdjieff ‘Work’ in contrast to the Theosophical-inspired occult groups that G. viewed with contempt. No adornment – emphasize only what is necessary, the rest is baggage. One of the reasons for this is Gurdjieff’s experiences in the Caucasus, Turkey, Greece and Russia during periods of civil war, political instability, and revolution. 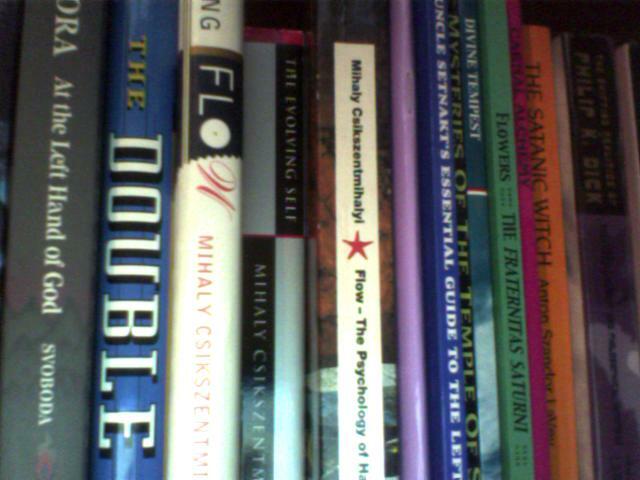 Rather than Aleister Crowley this aspect of Gurdjieff — his experience of human conflict and violence — is perhaps closer to the contemporary experiences of New York Times reporter Dexter Filkins, King’s College strategist Patrick Porter, author William Vollmann‘s distilled ‘Moral Calculus’; in his study Rising Up and Rising Down (2004) or University of Notre Dame professor and anthropologist Carolyn Nordstrom. 4. Heuristics to Understand LHP Methodologies. Contemporary books on Gurdjieff often focus on his self-described methodology of the ‘Fourth Way’: the fusion of fakir, monk and yogic methods of self-initiatory knowledge in everyday life. Whilst important, many of Gurdjieff’s other heuristics — the Law of Three, the Law of Seven, and the Law of Accident in particular — might be frames to test, contextualize and evaluate the appropriateness, effectiveness and unforseen effects of LHP methodologies. These heuristics refer to causal relationships, the flow of time and change, and unexpected forces that any practitioner or methodologist will face. 5. The School as Initiatory Laboratory. Gurdjieff’s Institute for the Harmonious Development of Man in Fontainebleu, France, is an oft-emulated model for groupwork. LHP practitioners also often cite Pyotr Uspenskii’s comments attributed to Gurdjieff about the role of the School and the ‘third line of work’ for the School’s growth and survival. If only they looked at what happened and why the Institute failed (and perhaps read some organizational dynamics literature by Barry Oshry or Gareth Morgan). These days Fontainebleu is more well-known for the MBA business school INSEAD. 6. A Model of the Psychecentric Consciousness. Pyotr Uspenskii has emphasized Gurdjieff’s model in his description of seven types of man, various centers, the psychology of initiatory experience, the Enneagram symbol, humanity as ‘food for the moon’, and the Ray of Creation cosmology. Uspenskii’s language was proto-scientific and anticipated the cybernetic models popularised by Timothy Leary, John Lilly and Robert Anton Wilson in the 1970s. Thus, some interpret Gurdjieff as a modernist rather than a traditionalist who drew on syncretic cultural and religious sources. 7. Aletheia. Over a decade ago, I sat in on an email debate between Petri Laakso and Vesa Itti on if Gurdjieff’s ‘Work’ could fit into Setian philosophy, the Farr/Crowley aeonic model, and what his Word might be. Itti and Laakso eventually settled on Aletheia as the Greek word for Truth-as-Unconcealment. In retrospect this poses several issues for orthodox Gurdjieffians. It is perhaps closer to Uspenskii’s idee-fixe on ‘self-remembering’ rather than Gurdjieff’s emphasis on observing one’s mechanical life and then trying to Do. It is identified with German philosopher Martin Heidegger‘s phenomenological hermenutics, and his Remanifestation of Aletheia. Trying to put Gurdjieff or any other person into these frames is difficult: whatever clarity is gained, something may also be ‘lost’, ‘fragmented’ or remain ‘unknown’ (with a nod to a certain Uspenskii book). Words will be Understood in different ways, different contexts, at different times, and by different people. Finally, this can be ‘wiseacring’ or self-hypnotic speculation: we don’t Know, we weren’t with Gurdjieff during his Oath on 13th September 1911, and in many cases, only have secondary sources. Despite these limits and concerns, the Itti-Laakso proposition that Gurdjieff’s Word could be Aletheia raises some intriguing possibilities and directions that I will explore further in future posts.